MSX user aorante has released a new version of his Veejing program that allows you to create your own 8-bit flavored VeeJay sets on MSX. With this tool you can set a variety of animated background layers and, with just a simple push of a button, add animated sprite layers and additional ainimations over it. Especially for the not-so-creative-people who would like to use the program as well, aorante has made some nice presets with visual effects to use. 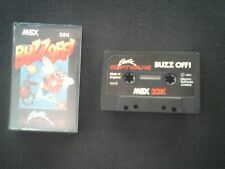 VeejingSX is available as a 32 Kb ROM, 2DD Disk image and even as a WAV or MP3 to load it through your cassete port. Nice FX. 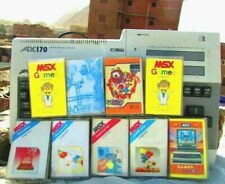 I wonder how cool a rhythm game for MSX would be with such kind of videoFX. very nice ! it would however benefit (without even having tested this) by using your own content. Since it's all pre coded I suppose you're limited to what the program has to offer, preset wise. Maybe having a little drawing program to design your pictures and a sprite editor to substitute the existing sprites could be an idea. That way you can make your own content. 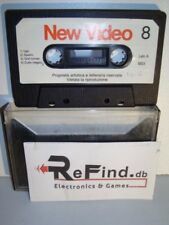 oh come to think of it, I used an 8280 a couple of times over the years in vj sets, so you could use the video input and mess up the screen in various ways. In future versions I would add a content editor. Now, I'm getting better the effect of pseudo-glitch and I have changed the way of generating random values ​​for the background noise.